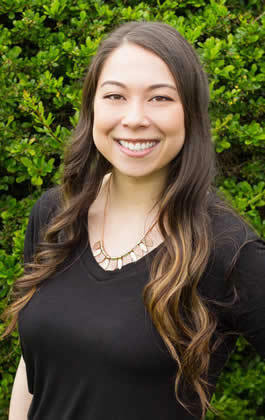 Alexandra (Alex) received her associates in Massage Studies from Clover Park Technical College in 2016. Before joining the team at Unlocking the Body, Alex worked in a small spa in Graham. This is her second career, Alex worked in administration for several years for a local company, but grew tired of sitting at a desk and wanted to help others in a more active and rewarding role. She brings a calm, yet confident approach to her treatment sessions. Alex is very passionate about massage and she looks forward to growing as a Therapist. Her style of massage combines Treatment Massage and Relaxation to create an effective treatment session using Deep Tissue, Ashiatsu DeepFeet Bar Therapy®, Cupping, Guasha, Hot Stone, Neuromuscular Re-Education, and Swedish Massage techniques. While Alex is efficient in the aforementioned modalities, Deep Tissue and Ashiatsu are her specialties. Alex will be taking several continuing education courses throughout the year, she is interested in Craniosacral Therapy, Intraoral and Sarga Bodywork so check back and see what new modalities she has under her belt! Outside of the office, Alex enjoys spending time with her husband, two cats, and dog. She also enjoys gardening, cooking and hiking around the Pacific Northwest.